With combination skin prone to acne and scars since the time I remember, the acne, scars, pigmentation is something I still experience in my mid-30s. 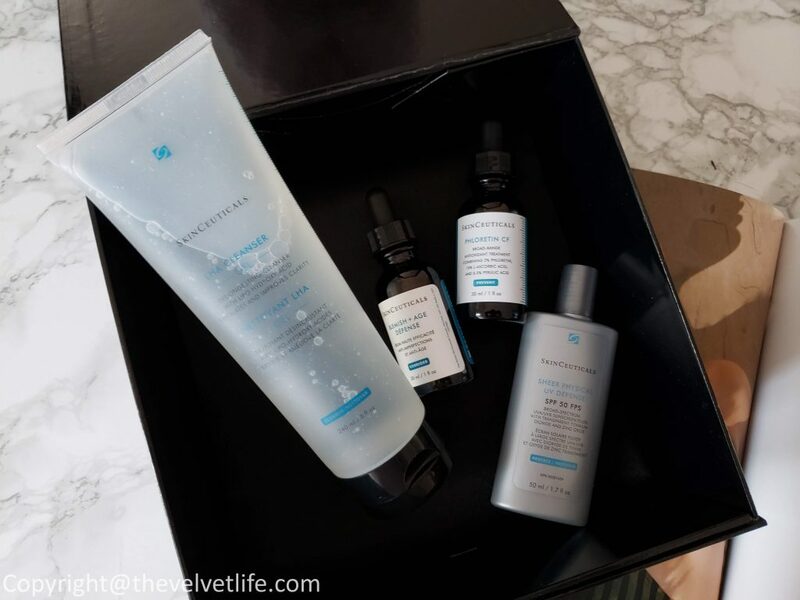 And the reason why I said that you need to check this brand is that when nothing else was working for my skin, SkinCeuticals products worked. The brand has been around for over two decades and was born from the skin cancer research that in turn led to some great discoveries in antioxidants which gave birth to some high potency formulas concentrated in pure actives and that penetrate optimally into the skin. 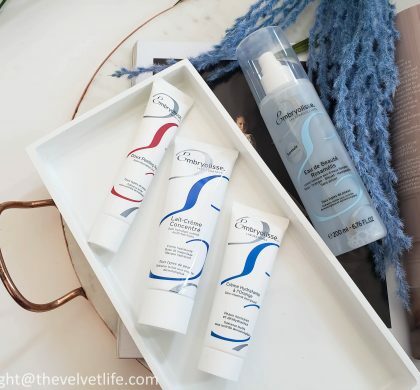 The product range includes products to correct signs of aging, protect healthy skin, and prevent future damage. during the day. In the evenings, I have been using the serum Blemish + Age Defense Serum. 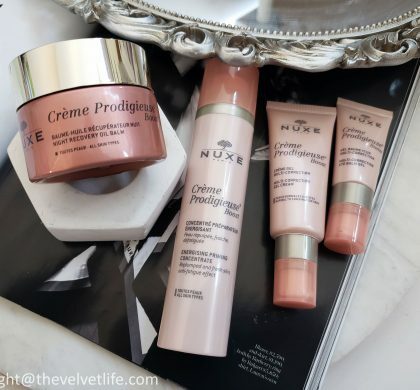 I would say I am really impressed with the results and the products DO work on my problem skin. 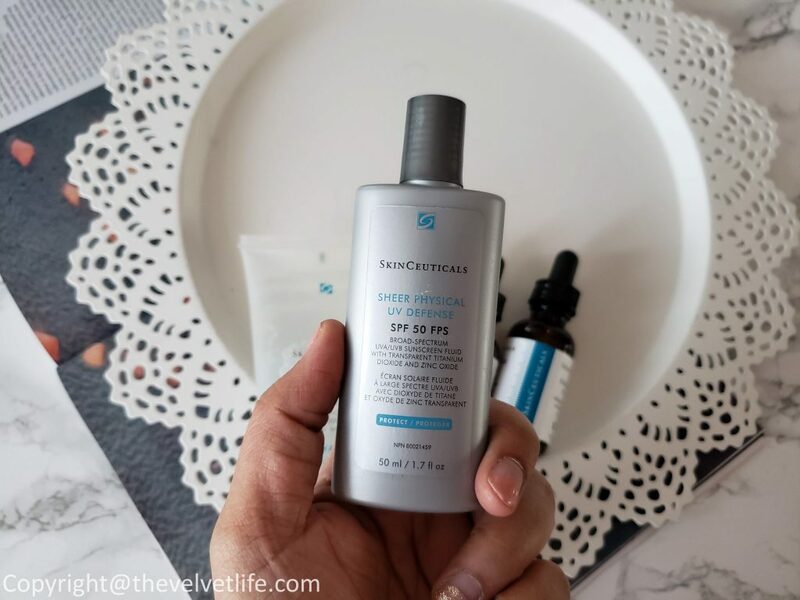 SkinCeuticals LHA Cleanser is an exfoliating cleanser featuring a conditioning surfactant and a 12% concentration combining lipo-hydroxy acid, glycolic acid, salicylic acid, glycerin, and sorbitol to remove excess oils and makeup while decongesting pores and brightening skin. It is specifically formulated for aging skin prone to breakouts. This deep cleansing gel gently refines the appearance of congested pores and helps to reduce blemishes without drying the skin. 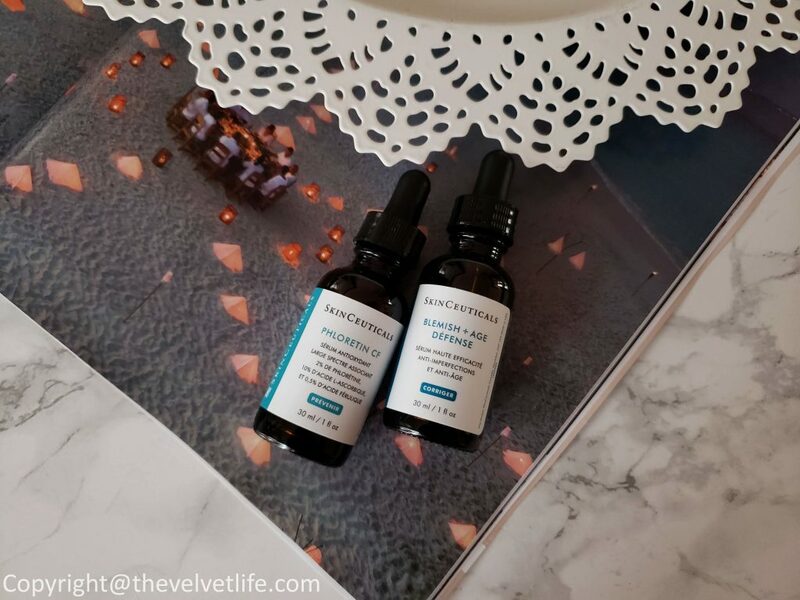 SkinCeuticals Phloretin CF is a daytime vitamin c antioxidant face serum which aims to deliver environmental protection by neutralizing damaging free radicals. The formula is a combination of 2% phloretin, 10% pure vitamin C (L-ascorbic acid), and 0.5% ferulic acid. It also helps improve the appearance of discoloration to improve overall skin tone. I have been really liking the effects of this serum, my skin looks brighter, even toned, and I do notice the quality of my skin has improved, including the discoloration from acne scars and redness. 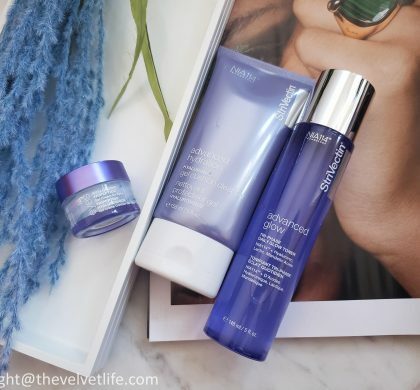 Overall, I am really impressed with the products I have tried, both the day and night serums are for sure something I would like to keep in my skincare routine and will repurchase once these bottles are over. I would recommend you to ‘Find a professional’ here to have a prescription of the proper skincare regimen needed by your skin. 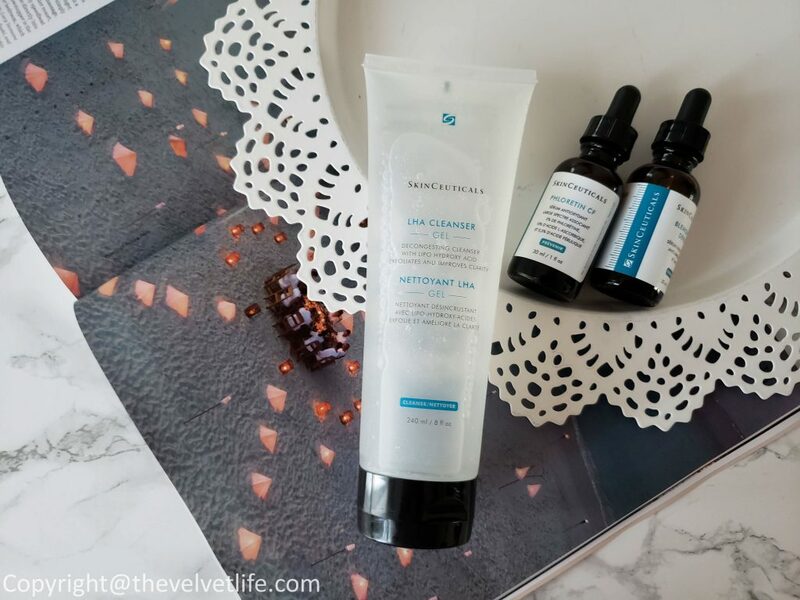 Or if you already have a prescription, SkinCeuticals products are available at Beautysense.ca.